Brock has been racing motorcycles since age 4 in Wisconsin, both dirt track and on ice, and has consistently tried to find the fastest riders to ride with and learn from. His best moment thus far has been winning the Indy Mile on the Basic Expert Twin in front of more than 11,000 cheering spectators. 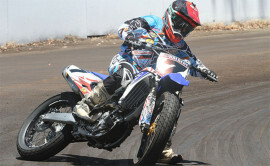 For 2011, he competed on an EX650 Kawasaki twin. 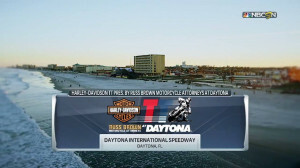 2011 Schwarzenbacher contested in select GNC races, earning a season best finish of 12th-place at the Daytona Flat Track. Raced with Moose Racing Honda/ Kawasaki. 2010 Schwarzenbacher competed in select AMA Pro GNC events. Raced with Mack Daddy Racing team. 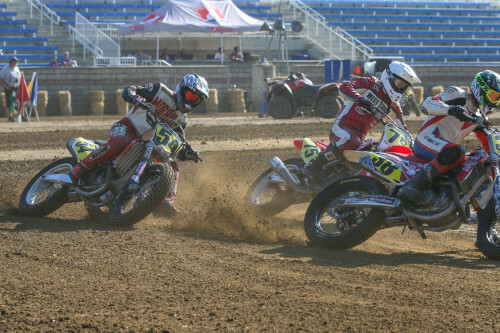 2009 Schwarzenbacher entered the AMA Pro Grand National Twins Championship and AMA Pro National Hot Shoe Series, posting a fifth-place finish at Quincy Speedway and two Top10 finishes at Elkins Speedway and LaMonte. Raced with Bob Wierbach Racing/Bill Werner Racing Kawasaki race team. 2008 Won the Indianapolis Mile and Topeka Nationals on the Basic Expert Kawasaki, finishing seventh overall despite only contending half the season. 2006 Finished second overall in his first full ProSport year, won the DuQuoin ProSport HotShoe.